My home page has been completely overhauled and now includes a better news section. This means that from now on, all news pertaining to Majora will be posted directly at www.mbulteau.com, so this will be the last post on this particular blog, which will remain open indefinitely for archive purposes. Keep in mind that as I am connecting domains between registrars, some instability is to be expected for a while. Due to the influx of people new to the project, I’ve decided to condense the basics about the opera in a single introductory Q&A. If you’re new to the project, this is for you. If you’re not new to the project, but still like watching Q&As, this is for you too. Work on the score isn’t the only thing happening right now. As the staging reference tome requires art, some technical details also need to be laid out for the minimum scenic suggestion included within. 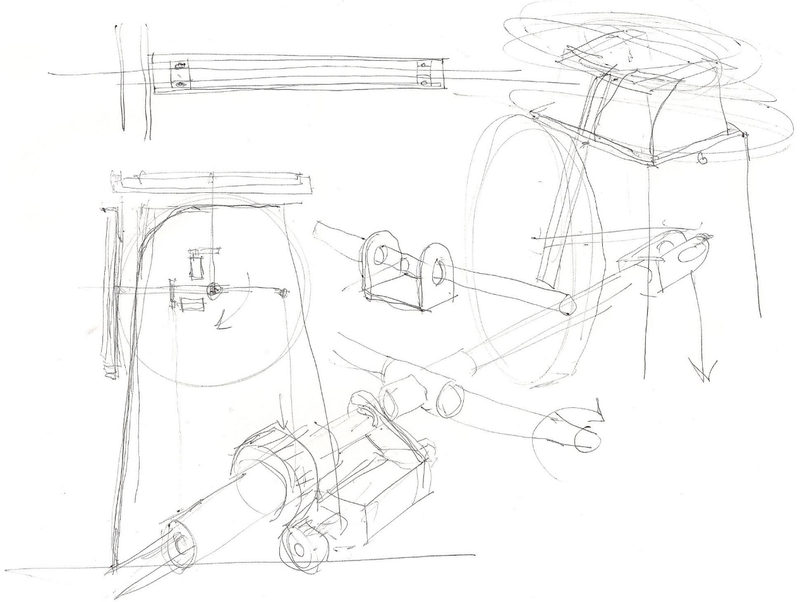 These initial doodles will eventually become more precise technical drawings.